After some discussion we have decided that redirection of the type you are using is acceptable and compliant so you can continue with that. There are other situations in which redirection is not allowed and you should understand that for us the term cloaking means to hide. We realize that some people have a slightly different idea about what cloaking means, but the original meaning is to hide. 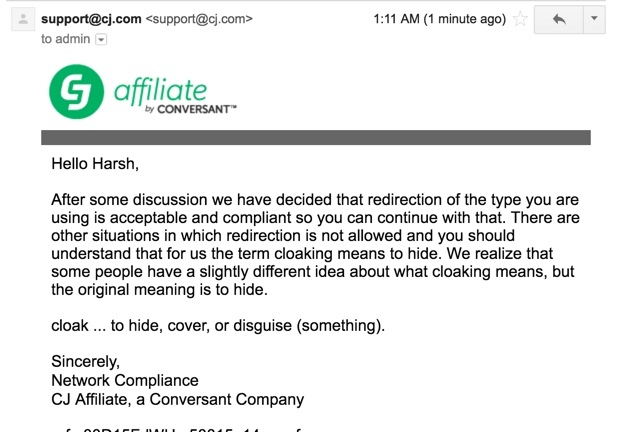 cloak … to hide, cover, or disguise (something). It’s so good to see doing the right thing rather than backing up a mistaken decision. Way to go CJ! Do read the whole story as this is an interesting read. You would learn a lot of things as an affiliate, brand, affiliate managers & a blogger. Having an affiliate program for your product helps in more sales; this is a well-known fact among all progressive companies. 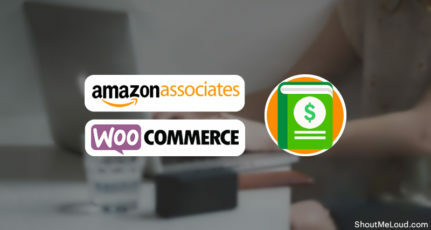 However, the challenge is to decide whether to create a self-hosted affiliate program or use an affiliate network like Commission Junction, ShareASale, Rakuten, or any other. As a growing company, once you decide to work with an affiliate network, it contributes a lot to your success. If you are the affiliate manager of a program, you understand the importance of putting up policies and making a list of things not to do (like bids that are not allowed while doing PPC). In a nutshell, you set rules that preserve the integrity of your brand & at the same time don’t stop genuine marketers from promoting you. 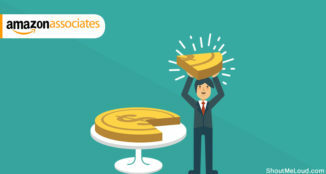 An affiliate network should enable brands to connect with the right affiliates and empower both of them to generate more revenue which enables affiliates to sell more. However, if an affiliate network starts imposing restrictions without the knowledge of the brand, this affects the overall sales of the brand in the long run & lets a competitor with a more friendly affiliate program win. When you consider this scenario, you should consider only the sales that brands are getting based on their “affiliate networks & affiliates”. This article is an experience of me as a GoDaddy affiliate for the past 8 years. At the same time, I’m also an affiliate of the closest GoDaddy competitor, Namecheap, using another affiliate network, ShareASale. ShoutMeLoud gets 1.5 million+ page views/month & sends a considerable amount of traffic to web hosting & domain sites. Being one of the top 5K globally ranked Alexa sites for the past 8 years, we understand what a quality product is & what it means to establish a brand. As an end user, we all know that Namecheap & GoDaddy go neck and neck when it comes to the domain name business. 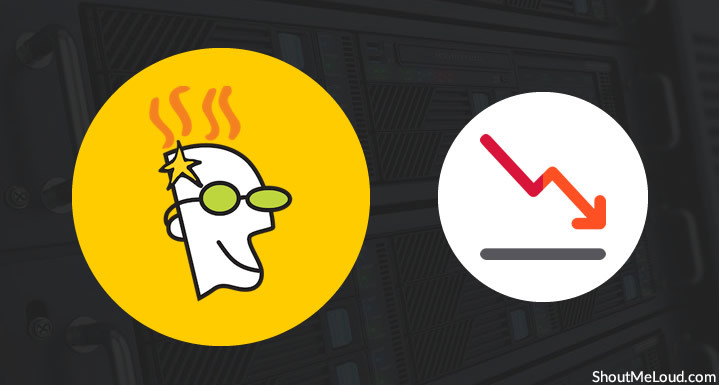 Where GoDaddy is remarkable with their pricing, Namecheap is popular for their simplicity. As an affiliate, for me to recommend either of them is virtually the same. 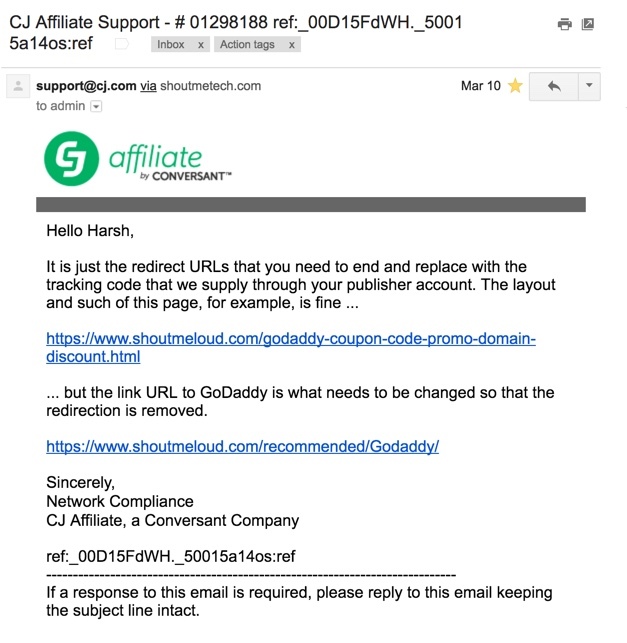 However, this post is not about Namecheap vs. GoDaddy; rather, it’s a rant from an affiliate on how GoDaddy is losing affiliates even after using the world-class affiliate network, Commission Junction. This post is also a message to GoDaddy about how to fix this problem. ShoutMeLoud is all about “becoming your own boss”. 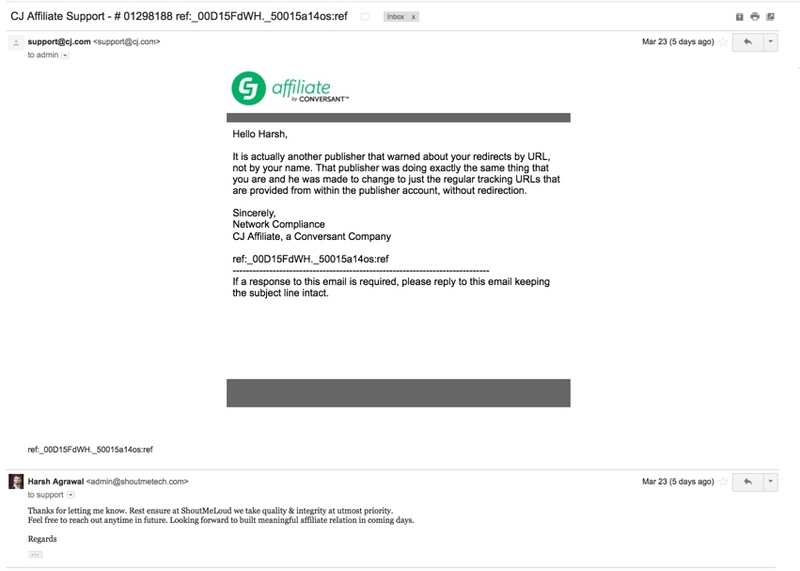 The first time I mentioned the phrase “GoDaddy affiliates”, they had their own in-house affiliate program. I had to change my affiliate links when they switched from their in-house to the popular affiliate network “ShareASale” & “TradeDoubler”. Since I use affiliate link cloaking, it was easy for me to update the link with one click rather than updating 200+ blog posts & editing all of my eBooks. 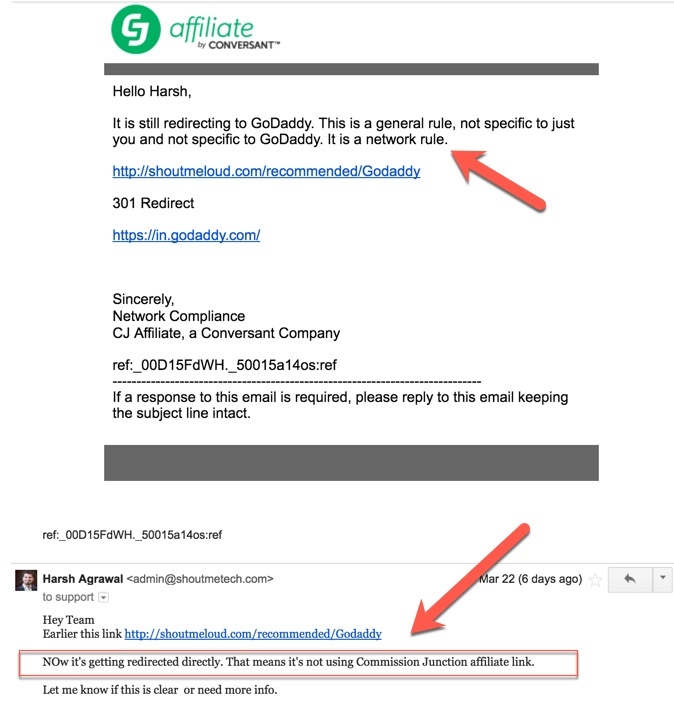 After a while, GoDaddy shut down their affiliate program with ShareASale/Trade Doubler & moved to Commission Junction. Now, all the affiliate marketers who are part of this industry know about the Commission Junction (CJ) affiliate network. They are very well-known and popular. Also, most affiliate marketers know about how important affiliate link cloaking is. I’m about to share something important for affiliate managers & brands who are planning to use an affiliate network to run their affiliate program. What I’m going to share has nothing to do with statistics. Instead, I’m going to tell you about how the network itself bridges the gap between affiliates and brands. 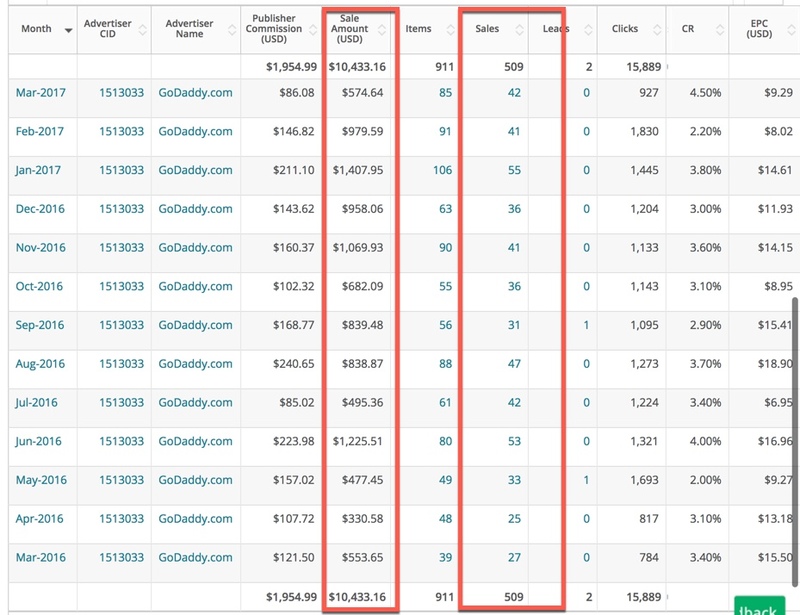 In one year, ShoutMeLoud helped GoDaddy earn over $10K, and at the same time, we earned close to $2k. More than this, we bridge the information gap between GoDaddy & the end user with our tutorials and impromptu mentions where we deem necessary. 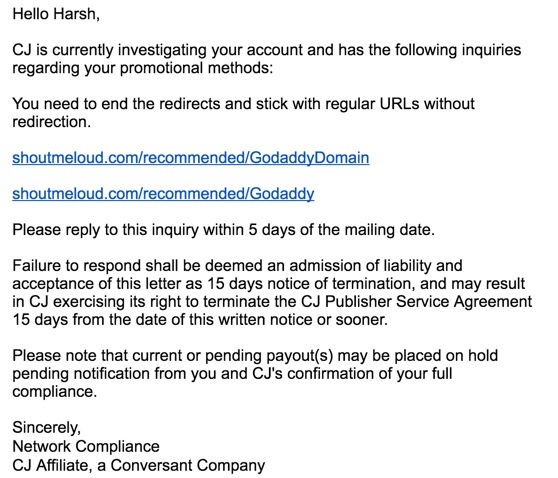 Well, it should sound good for GoDaddy or any other business-minded company until they lose revenue & an affiliate like me. You need to end the redirects and stick with regular URLs without redirection. Please reply to this inquiry within 5 days of the mailing date. Failure to respond shall be deemed an admission of liability and acceptance of this letter as 15 days notice of termination and may result in CJ exercising its right to terminate the CJ Publisher Service Agreement 15 days from the date of this written notice or sooner. Please note that current or pending payout(s) may be placed on hold pending notification from you and CJ’s confirmation of your full compliance. As someone who makes his living online, losing access to an affiliate network is scary. 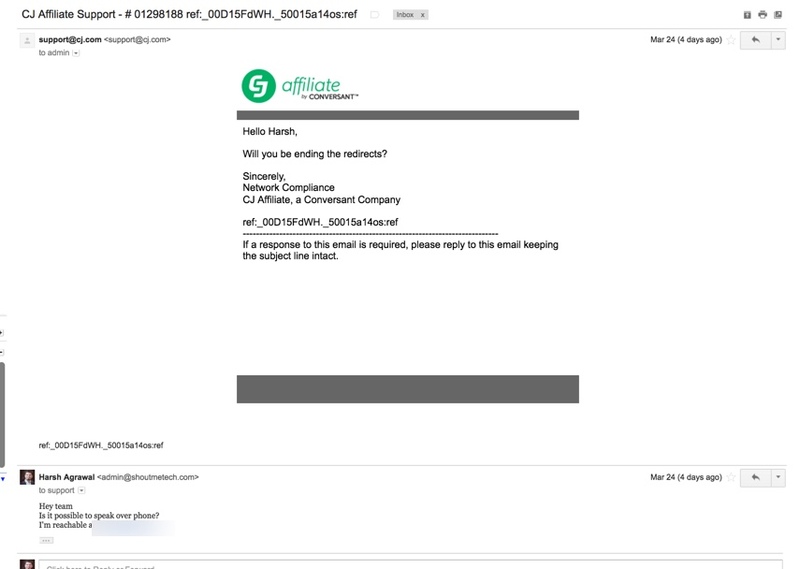 At the end of the day, I didn’t want to lose an old-age affiliate network like Commission Junction, and I wrote back to them letting them know about my promotional techniques. In the past 9 years, neither ShoutMeLoud nor any blog in the ShoutDreams network has ever deceived its readers in order to sell a product. Thanks for writing & let me share details of the promotions. ShoutMeLoud.com is an award winning blog & it’s online from past 8 years. We get over 1.5 million page views (organic) & have an audience base of more than 1 million. I’m also an advocate of Commission junction & have written about it many times on my blog as well & have provided a great number of affiliates to CJ in past 3-4 years. I’m also a speaker at Affiliate summit India & Affiliate Summit west, 2017. Kindly let me know what’s the matter & I would try to resolve it. Since using direct affiliate link would require me to edit almost 50+ blog posts & edit ebooks. I’m here to help you with anything or any details you need. 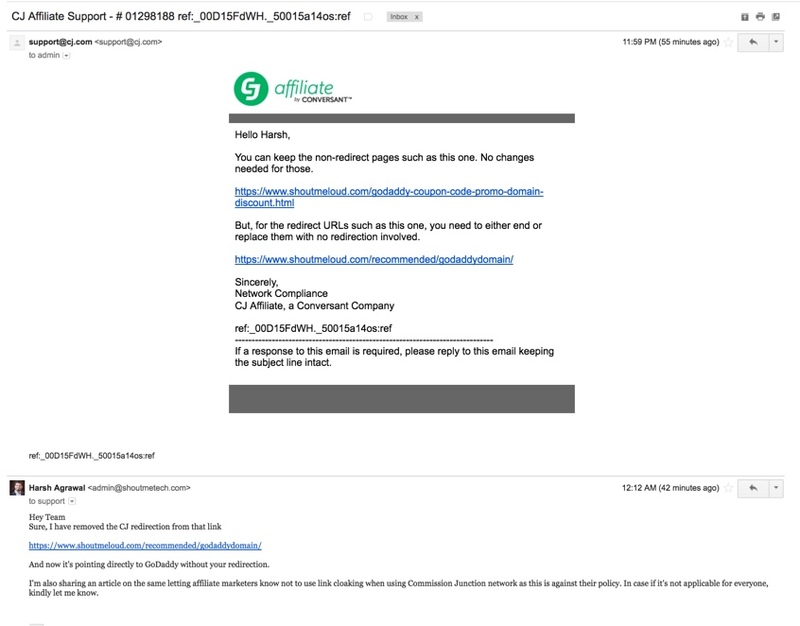 … but the link URL to GoDaddy is what needs to be changed so that the redirection is removed. Since it doesn’t make sense to argue with a network about their policies, I removed the link & emailed them to understand if this was a network-wide change or specific change from the brand. Since I have written about Commission Junction in the past, it’s important for a young affiliate marketer to know about & comply with the rules of a network. I have updated the link & now this link https://www.shoutmeloud.com/recommended/Godaddy/ is directly pointing toGodaddy.com & not using affiliate link by CJ. 1) Have you changed any policy recently regarding link cloaking? Or is this one just for this case? 2) If this one is asked by GoDaddy team or (Affiliatemanager.com)? Kindly let me know as it would be helpful. It is still redirecting to GoDaddy. This is a general rule, not specific to just you and not specific to GoDaddy. It is a network rule. Not sure what got into the head of the person dealing with this, but he/she asked why I’m using link cloaking. I’m really glad that you asked me the right question & let me share why I use such cloaked link rather than the direct affiliate link. I have been blogging since December 2008 & I create only quality content that is of utmost value for my readers. I create such cloaked link because most of the brand keep switching their affiliate program & it’s technically impossible for me to go back & edit all content & change the tracking link. With Cloaked link, it makes it easier for me to manage things when a program changes their affiliate network or update their links. When I use such tracking link, when a program changes their affiliate program, I just need to edit the cloaked link & change the reference. For example, in our case it’s GoDaddy. Since inception, they were running their in-house affiliate program & later they switched to ShareASale, Affiliate Window & now they are on CJ & Zanox. 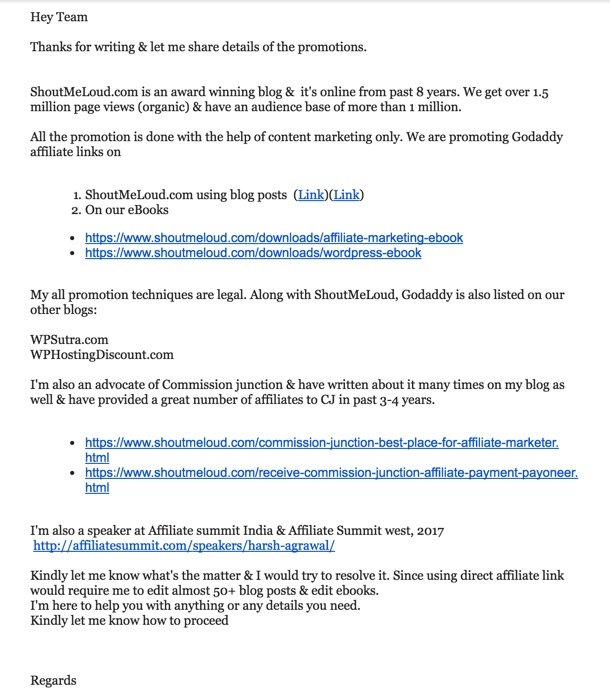 GoDaddy is one of hundred other service/programs we use/promote at ShoutMeLoud & for a moment put yourself in my shoes as an affiliate & see how difficult it is to find all old posts (We have over 5000+ quality posts + eBooks + more than 50K newsletter subscriber ) & update the link manually. If you go through my content on ShoutMeLoud.com or other blogs of ShoutDreams network, (WPSutra.com, ShoutMeHindi.com), you would realize we publish only high-quality content. Even after 8+ years of blogging we only have 3000+ blog posts because we spend a lot of time updating old content so that they keep adding value even in today’s time. I’m sharing all this with you to let you know our mission statement & how we work. I truly, hope you understand the purpose of us using cloaked link here. This time, somehow, they replied within hours. And this time, somehow, they seemed to understand why I use cloaked links. They also said it was another affiliate who alerted them to SML. I took a breath of relief, and I thought we were now on the same page. But the next day, they again emailed asking me to end the redirects. I asked them to speak over the phone. They offered terrible customer care service & never called me. 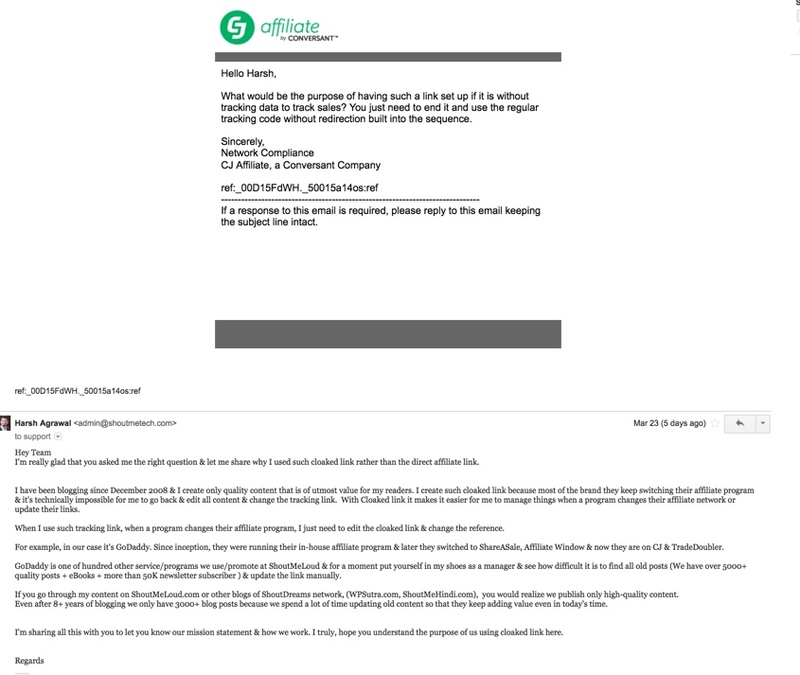 They didn’t even bother to understand the affiliate’s perspective & didn’t even reply back to the email. They probably thought that since I removed the redirection, they were done with the situation. However, that joy lasted not more than 72 hours, as they reached out again & asked me to remove the link cloaking for another GoDaddy affiliate link which redirected to another offer. GoDaddy is linked on many important posts of ShoutMeLoud & this is why they are getting close to 2K high-quality visits from ShoutMeLoud with an over 3% conversion ratio (on average). My point of discussion with the Commission Junction network compliance team was so they would understand the value of this traffic and the win-win partnership between GoDaddy & ShoutMeLoud. But most importantly, I was hoping they would understand that not every publisher is the same. However, the Commission Junction team never bothered to listen to their affiliate & went on imposing their “rules” without regard to the situation. As an affiliate network, they are not losing anything. But as a brand, GoDaddy is definitely losing the confidence of an end user. And as an affiliate, I am losing some money/month. Affiliate marketing is all about doing more business. Unlike traditional marketing, here an individual helps to connect a target consumer to a brand. 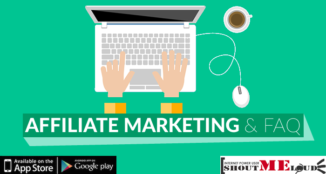 The affiliate network’s role is to facilitate the environment for building better relationships between a brand and an affiliate. A brand or an affiliate manager using an affiliate network should timely survey their affiliates to understand their needs and their problems. At times, without the knowledge of the brand, the network creates a bad impression and makes both the brand and the affiliate lose a good relationship. A world-class brand shouldn’t limit themselves to only one network. They should work with more than one network to give ample choices to affiliates for connecting with them. If the brand doesn’t know, we need to tell them. 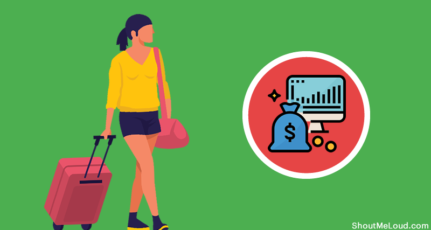 In a scenario like this, an affiliate should reach out to the brand or the affiliate management network to let them know about the issue, and ask them to offer their affiliate program using a more user-friendly ad network. For long, I held myself back on writing this important article. But brands, affiliate managers, and affiliates need to understand what happens behind the scenes when an affiliate network, without the knowledge of the brand, makes that brand lose a committed affiliate. For me, what I’m losing in revenue is not even 1% of my total monthly income; however, it is very sad that due to GoDaddy’s poor choice of an affiliate network, they lost a dedicated brand advocate. 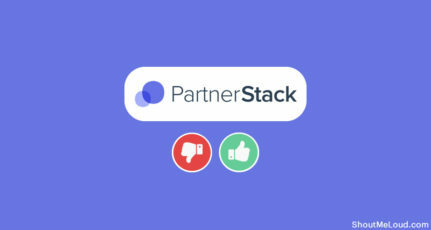 And just because the affiliate network didn’t take the effort to connect with the affiliate, the relationship between the brand and the affiliate became negatively affected. This is a great learning point for other brands to learn from the mistakes of GoDaddy. You can’t choose to work with an affiliate network that doesn’t offer good customer service to its affiliates. You can not let those networks impose rules that are completely incompatible with today’s digital age. As an affiliate, you need to work with other brands, other products, and ultimately, other networks who offer a better and more understanding environment. Unfortunately, the loss is mostly felt for the brands & the affiliates. The affiliate network/marketplace has little to lose. As a brand’s affiliate manager, it’s important to work with brands that are friendly to both parties rather than strictly adhere to the perspective of either party. Do let me know if you have ever experienced similar issues with an affiliate network or a program. What happened & what did you do to compensate for your losses? 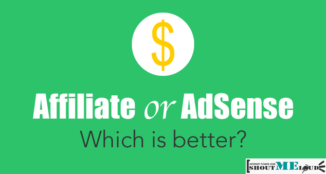 Did you move to an alternative product or use another affiliate network? Share your experience in the comments section below. thanks for sharing such kinds of a problem what you have faced by commission junction. all the bloggers need to aware to this. Really stupid on Commission Junctions part to come up and say something like this. Through my experience Harsh I feel this is a clause which is subjective, and the person who connected with you doesn’t have a proper idea about your background and what you do. I feel the person who connected with you was just following some standard company diktat. Have you thought of connecting with someone from the Network or at GoDaddy who can make this better, or as better understanding of their and your loss? Oh… That’s great news. I thought they really are so dumb. Thankfully, they made a nice decision. Keep it up. Thank you for the updates Sir Harsh. Eventually CJ replied back & they now allowed link cloaking. Good god, sounds like a newb in the compliance department… total waste of time! But one thing that could help you, is to stop calling it cloaking. Redirection IS NOT cloaking… I doubt it would have made any difference in this case, but at worse they should make you append a subid to certain pages if they’re having trouble seeing the sources. From the Affiliate Manager’s perspective, one thing missing in the Takeaway that I think should be above the rest: CJ should have notified the brand/merchant (i.e. Affiliate Manager) prior to reaching out to you – IMO. This might be against/a part of the middle-man operation CJ runs to not do so, however if I know how you promote as Affiliate Manager (as I do and I should) – I could have rectified the situation on your behalf without risk that you could stop promoting the brand – all because of the network’s actions (for other’s reading: FYI – I am an Affiliate Manager, but not for GD – 🙂 just giving advice from that vantage point ). This is one area I think ALL networks can do a better job at; communication between Publisher and Merchant and ensuring any situation doesn’t escalate to a point where a network’s actions tarnishes the relationship between the two. Again – great write up and transparency. Thanks for adding value here & good observation. Indeed that would have helped to resolve the issue right way rather than CJ taking the case on themselves. 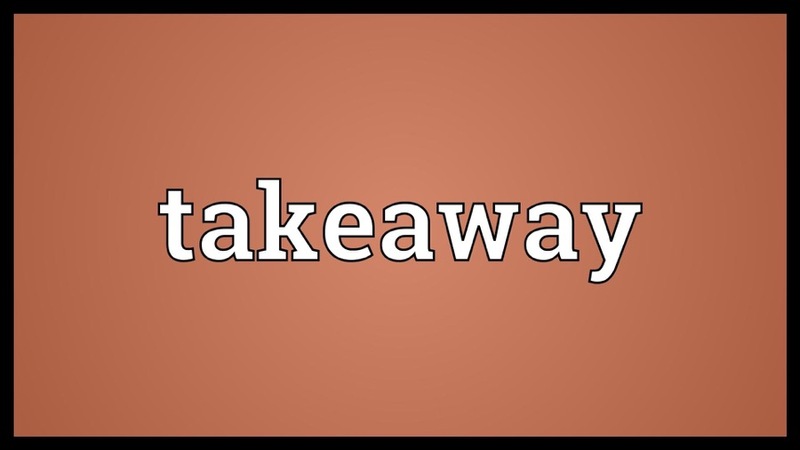 What really matter now is there are a lot of takeaways for all of us. I’m glad that this issue got resolved the right way rather than turning out bad for anyone (Affiliate, Brand or the network). CJ was one of the best network. Never know they will behave in such rude manner. Glad to hear the issue is now resolved. A good lesson learned. Glad to hear the issue is now resolved. A good lesson learned. I have a question for you, I have recently been on Google AdSense and I am confused about the finalised earnings, where can I find my finalised earnings without any further cuttings? It showed the balance and the amount appeared on the transactions portal. Of course it didn’t cross 100$. These days affiliate network gone nuts in changing rules and removing affiliate marketers from network without any sustainable logic. I don’t understand what is the mess here ? I mean u cloak the link just to hide that ugly url, nothing additional inserted to url or any other gimmicks. By checking long url masked they would have easily known that it’s just redirect not abusing system. It would be wise if they start allowing white-label domains which will end this mess. This article is so informative for us as affiliate marketers. Thanks Harsh for sharing this awesome read. That’s why I may prefer to work with products having in-house affiliate program instead of dealing with a third party. And the surprise is always that this third party is not offering the best support care! hello, harsh, my friend Manish told me about your blog. I am new to blogging your article about affiliate program help me a lot thanks for writing this great article keep updating us. Thank you for the updates, Sir Harsh.